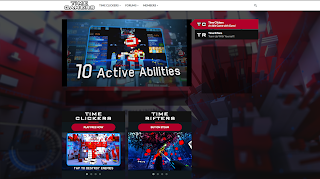 Come check out Time Gamers - the home of all your favorite Proton Studio games. 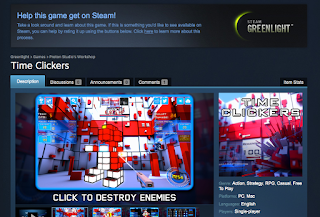 Time Clickers is now available on Steam! Leave a review letting us know what you think of the game. 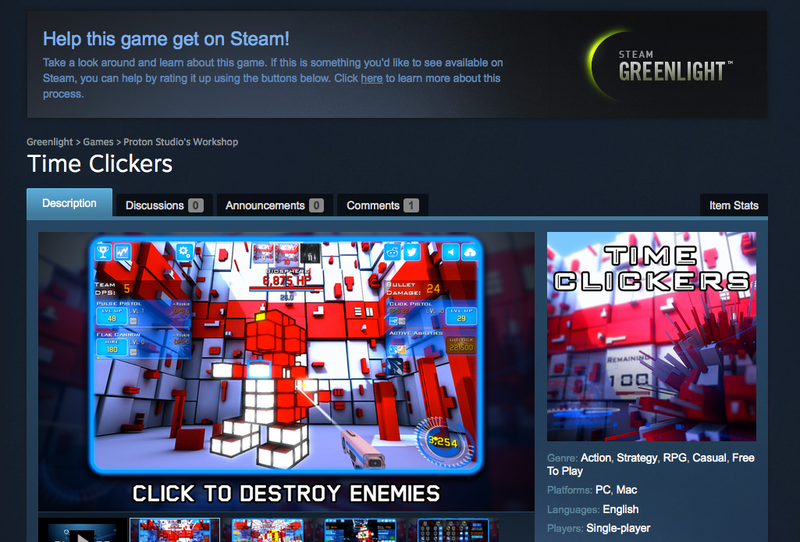 Time Clickers is now on Steam Greenlight! Here's an update on what we've been working on and some of our plans for the near future. 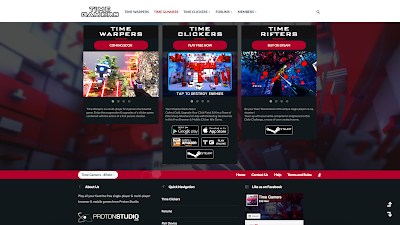 To create the features you guys have been asking for we're creating Time Gamers, a brand new website that will be the new home for Time Clickers & our future games. The site is still a work in progress & not ready to be launched yet but will include cloud saving, stats, integrated chat, user profiles & dedicated forums. 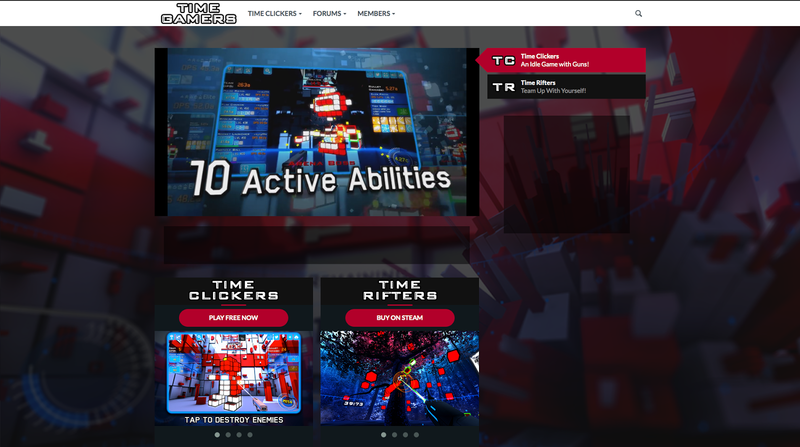 Here's a sneak peek at the new site & some of its features. Cloud saving will let you pair your Android phone and/or Kongregate save to Time Gamers, allowing you to access your save file from pretty much anywhere. Your save file will also be safe in the case of a crash. Track & share your progression with the real-time 'Time Cubes & Wave' graph on your profile page. Your highest wave, total Time Cubes collected and total Time Warps will also be displayed. The website (specifically cloud save & stats) is our current priority, however our future plans include Google Play Services integration, iOS version, and some balance & performance/optimization tweaks. 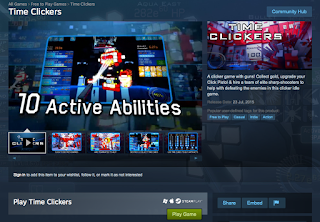 Time Clickers is now available on the Google Play Store! We appreciate if you can leave us a review on our Google Play Page. 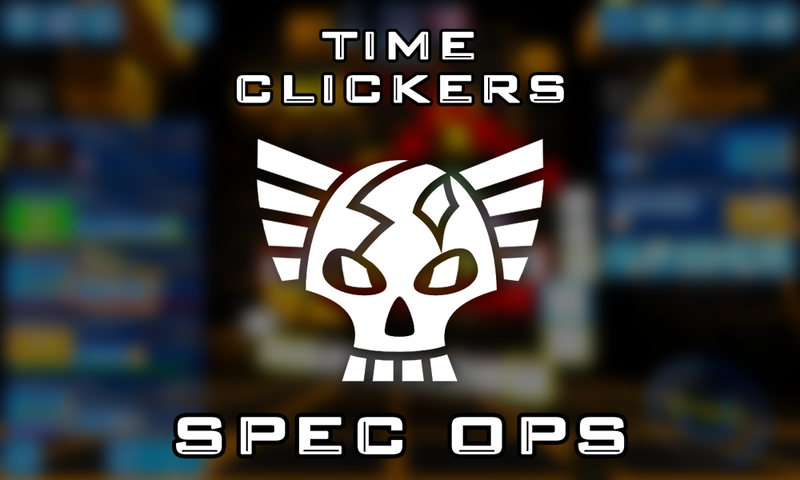 Time Clickers Spec Ops Update Now Available! - If you are using the Chrome browser on Kongregate YOUR SAVE FILE IS NOT LOST! - Google Chrome has automatically stopped supporting the Unity Web Player for a lot of players, but not everyone yet. We've created a WebGL version that will work with Google Chrome, but the save file is kept in a different location. - You can get more information in the WebGL & Your Save File Reddit Thread.